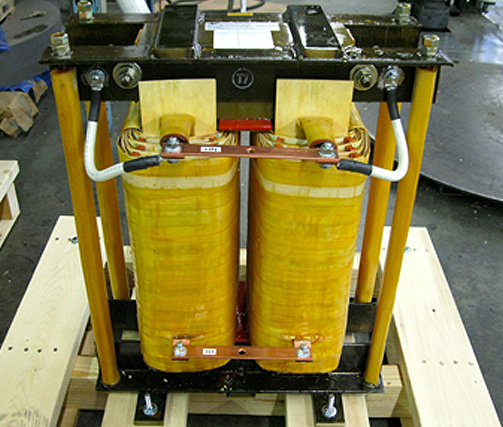 At AFP Transformers, we produce a wide variety of transformers and associated power accessories including high quality harmonic mitigation solutions. Our harmonic filter inductors are used in conjunction with power factor correcting capacitors in harmonic suppression applications. 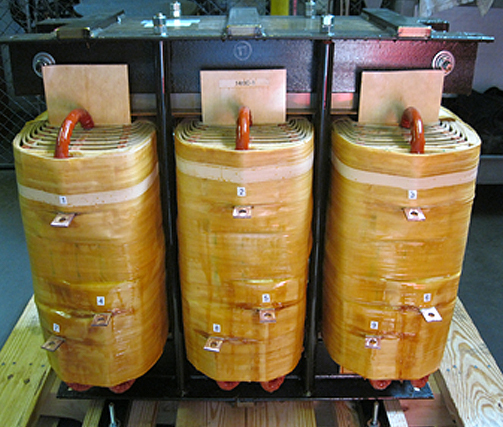 Harmonic filter inductors come in a variety of sizes, from 600 V to 34.5 kV voltage classes, and are available for single or three phase power systems. 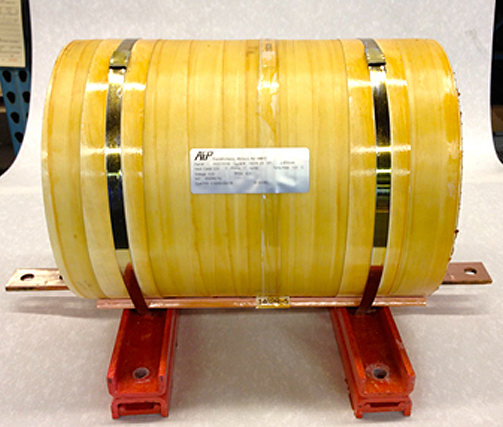 Filter inductances are tuned to specifically match their capacitors' power correction factor (kVAR) rating and have extremely long life cycles when used at their rated current. Due to the nature of their application, most harmonic inductor filters are custom designed to meet a customer's specific harmonic mitigation requirements. Engineers can assist customers in the development of a custom solution that will solve harmonic issues caused by power factor correction systems. 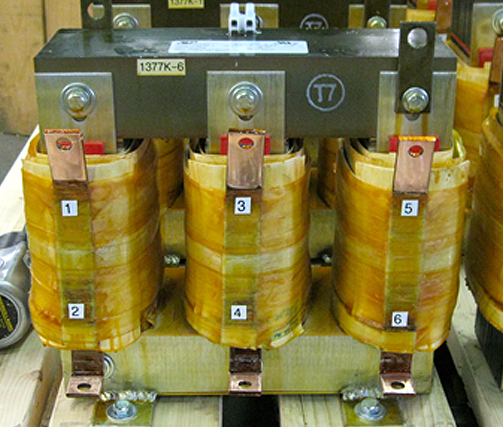 Inductors are available in iron, ferrite, or air core configurations with aluminum or copper windings and insulation systems in all UL standard ratings up to 220°C. For additional information about our harmonic mitigation solutions, see the table below, or Contact Us directly.